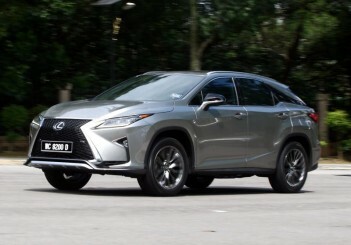 We had a little taste of the all-new Lexus NX compact SUV so read on to find out whether good things actually come in small packages. 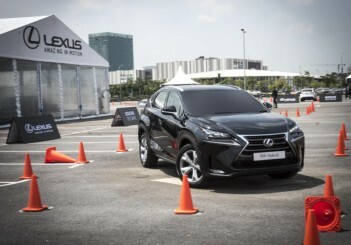 The premium Japanese marque, Lexus, will officially launch its first luxury compact crossover SUV (sports utility vehicle), the Lexus NX, in the Malaysian market today. 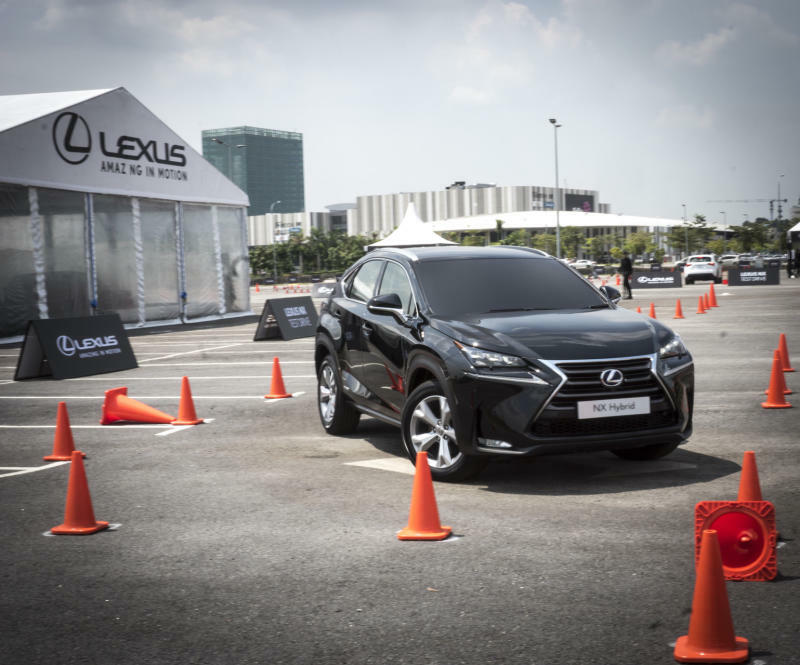 Members of the Malaysian motoring media however got an early taste of the new NX, which comes at a starting price of RM299,873 (on-the-road with insurance), last week as Lexus Malaysia converted the empty parking lot in front of Setia City Convention Centre in Setia Alam into a showroom complete with three obstacle courses. 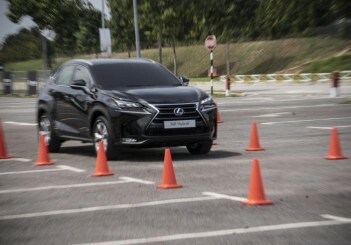 The courses were designed to test the car’s various features such as the Blind Spot Monitor (BSM), panoramic camera, its suspension and handling. 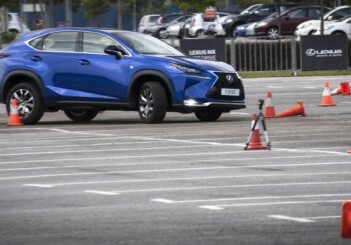 The latter was tested through none other than a slalom course. But before we indulge in the car’s driving capabilities, let’s take a closer look at it. When the original NX concept made its debut at the Frankfurt Motor Show in 2013, it was a muscular and aggressive showcase with sharp edges on its massive signature spindle grille and nothing more than slits for the headlamps. 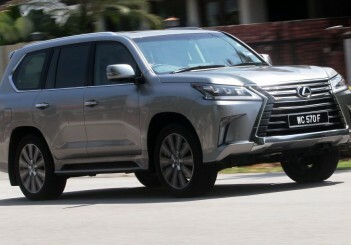 Thankfully, the production model has toned down its aggressive looks, opting instead for more refinement and cleaner lines. 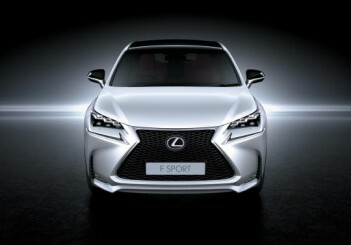 It has more of an athletic stance what with its sculpted wheel arches and sleek lines running from the rear to the hood. 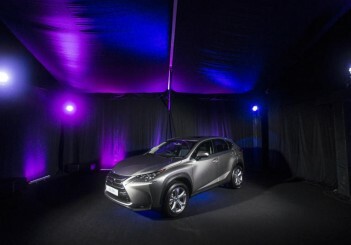 And it has some eye-catching features with the slim and sharp L-shaped daytime running lights (DRLs) and the three LED headlight cluster. 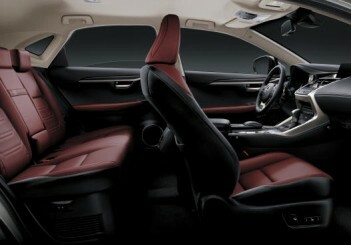 The interior is decked out in leather and the fit and finish is simply flawless befitting a luxury car. 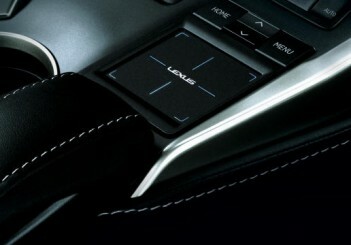 A very nice touch is the design of the centre dash which follows the aesthetic of the car’s front fascia. 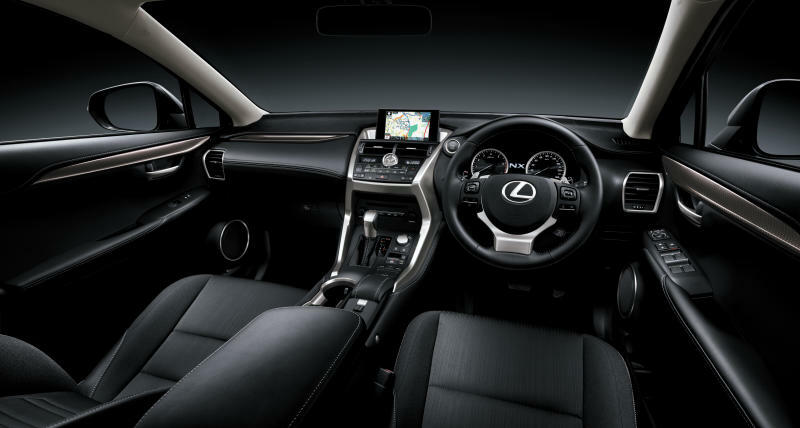 The dash is sloped at an angle and creates a cascading effect beginning with the 7in display screen, air vents, time piece and climate controls. 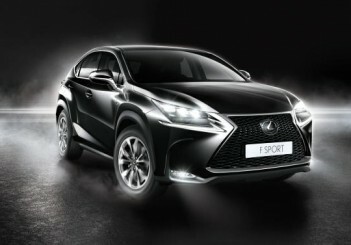 It has smart keyless entry and with push-start ignition and you don’t even have to carry the key fob around as it comes with a smart card key (depending on the variant) which is exactly the length and size of a credit card which you can keep in your wallet or clutch bag for women. 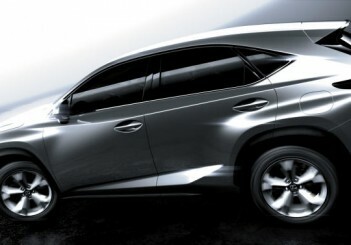 The other features include a power tailgate, reclining rear passenger seats, and wireless charger for your smartphone. Speaking of variants, the NX comes in the 200t range which features a 2.0litre twinscroll turbo engine mated to a six-speed automatic transmission which produces 235hp at 4,800 to 5,600rpm and 350Nm of torque at 1,650 to 4,000rpm. The top of the range NX 200t is the F Sport trim which gives you an extra driving mode (Sport +) besides the standard Eco, Normal and Sport modes. 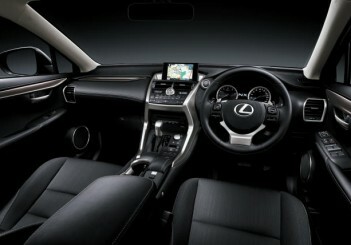 You also get the premium Mark Levinson sound system with 14 speakers. 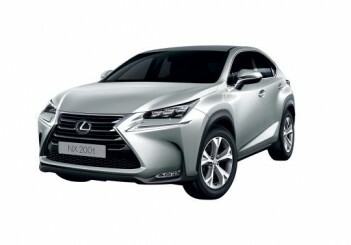 The NX also comes in the hybrid variant known as the NX 300h and all Lexus NX vehicles are all-wheel drive. 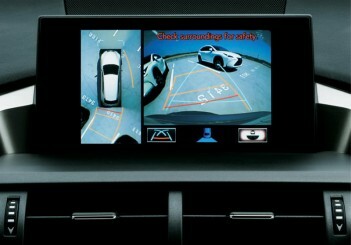 When it was time to hit the obstacle course, I discovered how comfortable and quiet it is inside the SUV. 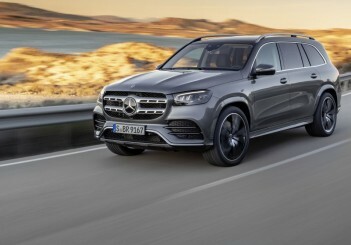 Firstly, there is a rock-solid feel to it and the cabin is like a soundproofed chamber with almost negligible amounts of noise, vibration and harshness (NVH). 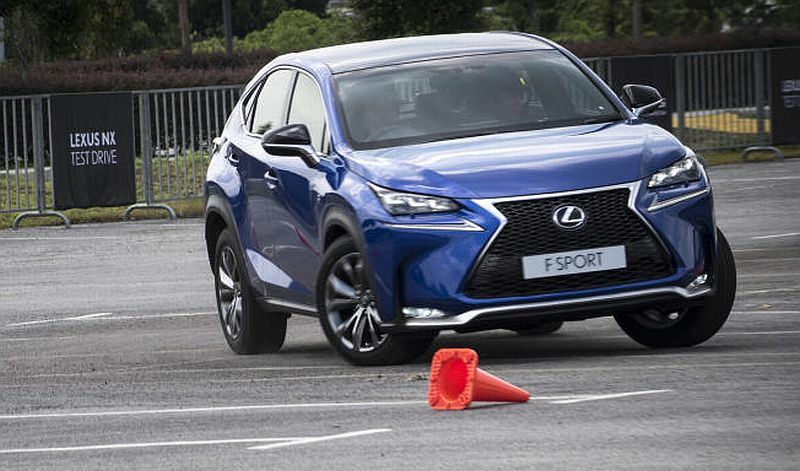 The first test simulated a bumpy road surface and driving it through low speeds first and then city-limit speeds showed how firm the suspension was without compromising comfort. The jarring vibration somehow never reached the cabin so I wasn’t bouncing around in there. 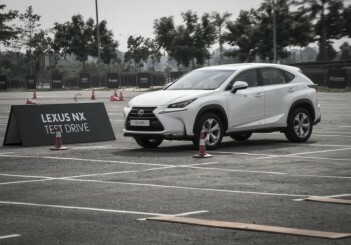 We then moved on to the panoramic camera test where we drove the NX blind as the windshield was completely blacked out and we relied only on the camera’s bird’s eye view of the car split with the reverse camera view. 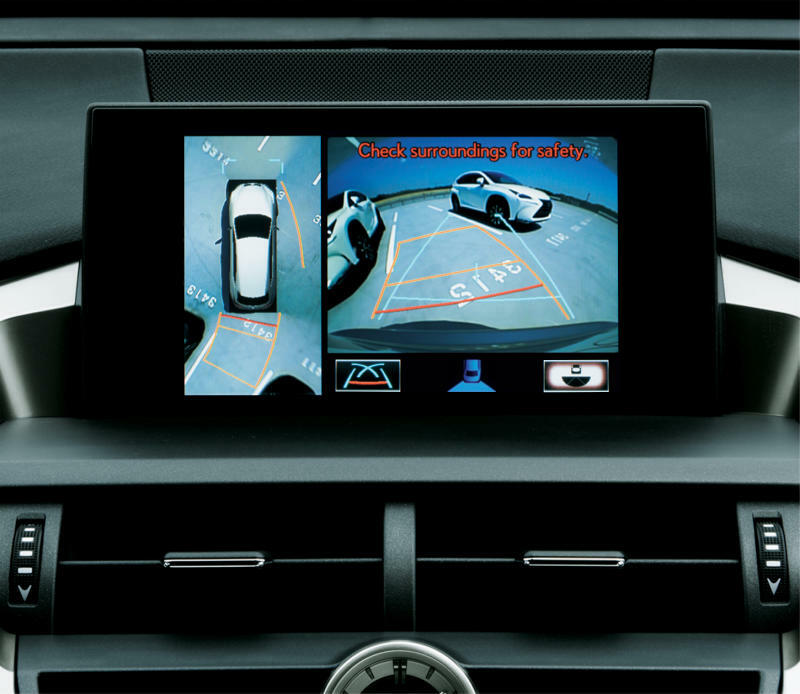 This is a really impressive feature because it alerts the driver when you are too close to an object, especially small objects like the cones which is not visible at all when its parallel to the car. 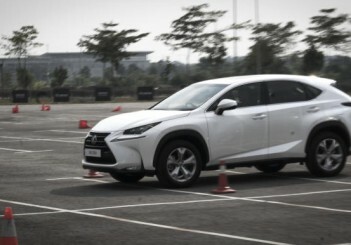 Finally, it came time to push the car with its handling and braking limits with the slalom test. 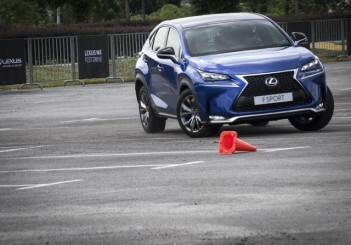 We each took three rounds through the slalom course with different driving modes beginning with Normal. 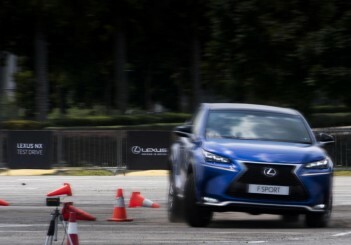 The test car was the NX 200t F Sport which comes with the extra Sport+ driving mode. 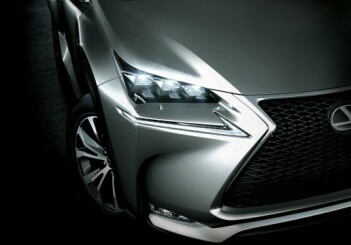 The car became more responsive and stiffer with every change of the driving mode. 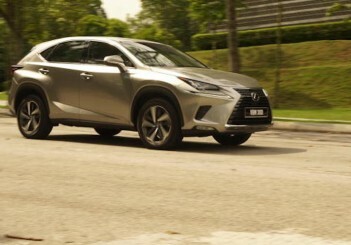 The steering is sharp and the car maneuvers impressively through tighter turns. 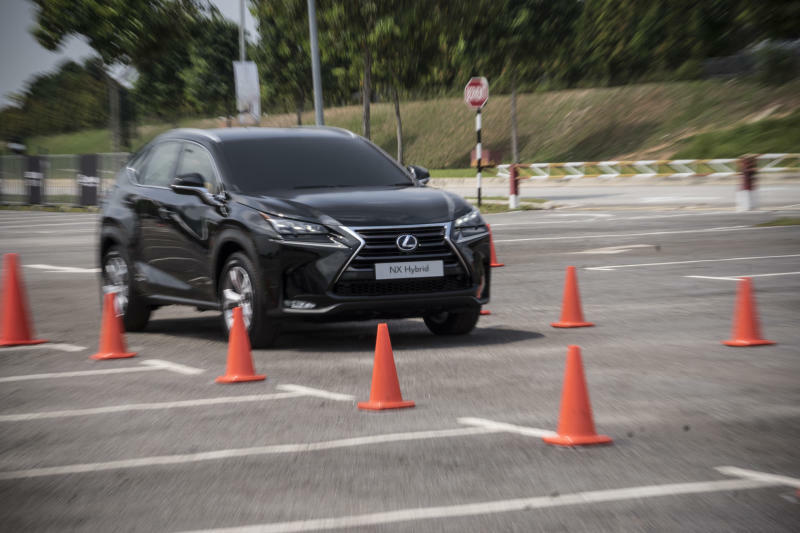 When hard braking is applied, like in the case of emergency braking, you can only hear the anti-lock braking system (ABS) kick in because there is no feedback coming through the brake pedal. 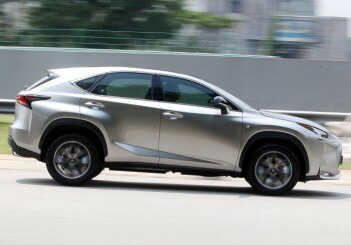 What is really impressive is how comfortable it is even when you’re driving hard. You can hear the noise from the tyres screeching but it’s calm inside. 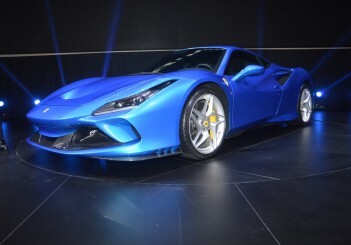 When you floor the throttle, the car’s power does not push you back and the exhaust note sounds refined even in Sport+ mode. 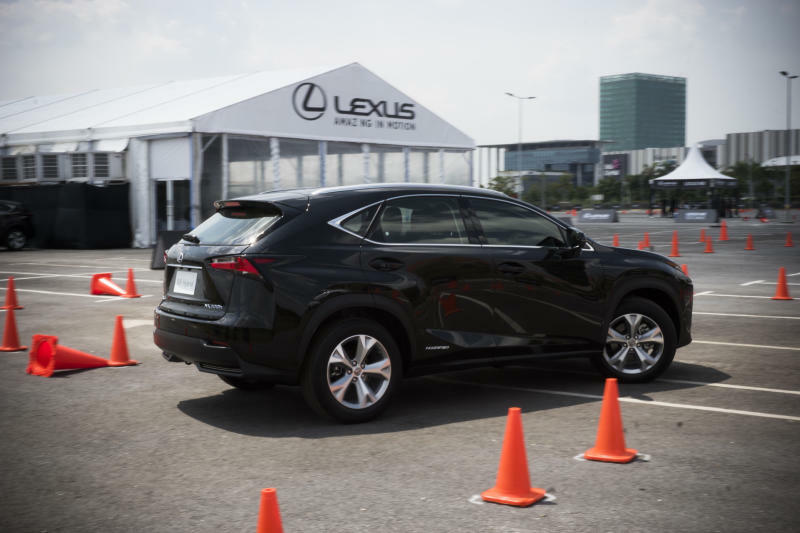 I came away with a very good impression of the Lexus NX which has the optimal balance in comfort, luxury and sporty driving. 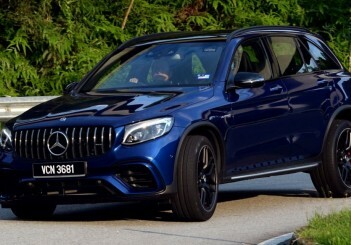 This is a worthy addition to the already crowded compact luxury SUV market. 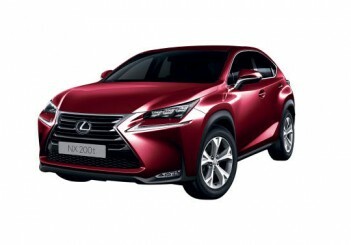 The Lexus NX comes in five variants staring with the 200t at RM299,873; 200t Premium (RM331,679); 200t Luxury (RM352,199); 200t F Sport (RM378,875) and the 300h (RM385,063). 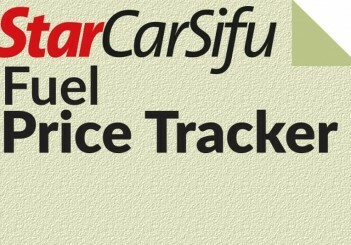 All prices are on-the-road with insurance.